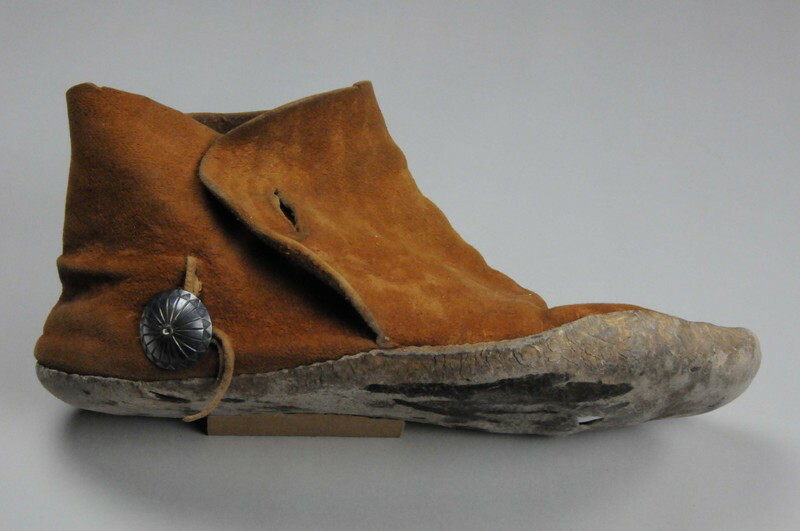 Pair of Navajo moccasins. 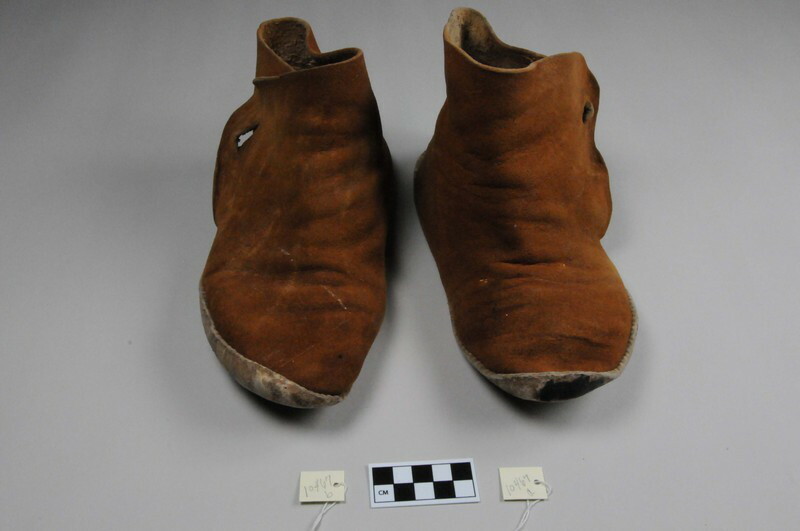 Russet colored uppers with rawhide soles. 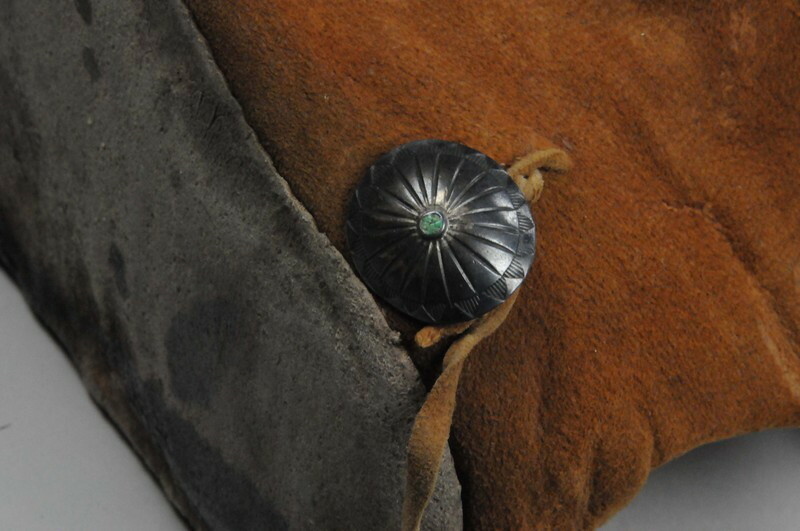 One silver concha button on each at ankle for securing through hole. 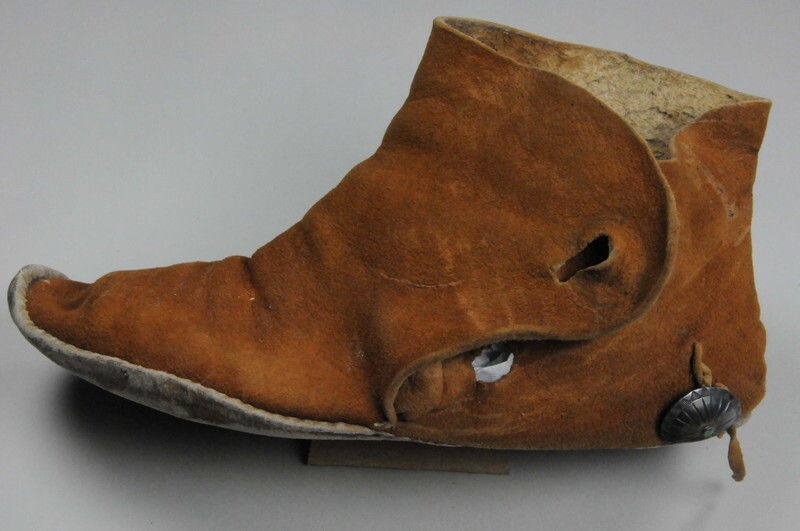 On Right shoe, the concha is missing a small turquoise stone in the center and there are three small holes in the sole. Left shoe still has turquoise in the concha, also has a black stain on the sole, but no holes.